Introducing the trailer for #NBA2K16 Livin’ Da Dream, A Spike Lee Joint. What’s your next move? Are you ready and willing to do what needs to be done? 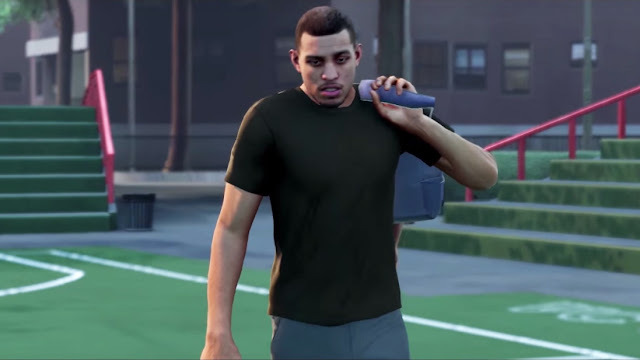 The decision is yours in NBA 2K16’s MyCAREER as you get to #BeTheStory. As previously detailed, this year's MyCareer story begins in high school and you get the opportunity to go to college as well, with at least 11 universities to choose from. 2K Sports currently holds the license for a number of schools, including Arizona, Arizona State, Georgetown, Kansas, Louisville, Michigan, Texas, UCLA, UConn, Villanova and Wisconsin. It's still unclear whether there will be college ball or they will only be incorporated into the cutscenes. The game will be available on Windows PC, Xbox 360, Xbox One, PlayStation 3 and PlayStation 4. For more updates, screenshots and videos, check out our NBA 2K16 page.